IGIA's diverse membership is represented by one of the state’s leading and most respected lobbying firm - Illinois Strategies, LLC. They reside in Springfield and are in the trenches with the Illinois General Assembly during all session days so they can keep us informed of critical issues that may require action be taken. Molly Rockford, Vice President of Illinois Strategies, has served in this capacity for IGIA for many years and works closely with IGIA staff, the Board of Directors, and the Public Policy Committee to monitor and review all administrative rules and regulations proposed by state agencies. She works with us to respond as appropriate when these initiatives affect our membership. This work includes monitoring the efforts of state regulators from Illinois Department of Agriculture, Illinois Department of Natural Resources, Illinois Department of Public Health, Illinois Department of Labor, and Illinois Environmental Protection Agency. One of the benefits of belonging is connecting with other members and building relationships that will not only benefit you from a business perspective but also you progress in your career. 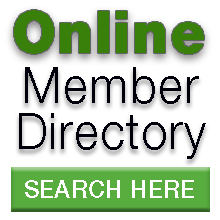 As a member, you gain access to login to our membership directory, so that you can find other IGIA members. Additionally, we strive to promote IGIA member businesses to our green industry partners and to the buying public. We do that through the membership directory on the home page of IllinoisGreen.net and our consumer-facing website GardenIllinois.com. If you are not currently receiving our bi-weekly e-newsletters, please subscribe so that we can keep you updated on industry events, news alerts, and other timely and pertinent information. IGIA strives to provide the updates you need to maintain compliance in the critical areas that affect your business. Within the Member Resources area, we'll provide updates when regulations or standards may affect the way that you do business on a regular basis. Members receive up to 25% off registration for IGIA events, tours, seminars and conferences. These are important opportunities to network with industry colleagues, further your professional development, and receive required continuing education credits for certain segments of our industry. These partnerships are critical to ensuring that members interests are not only protected, as part of the overarching green industry umbrella and as business owners, but also to further industry initiatives that are necessary for our future growth. Help us promote the environmental, economic and health benefits of installing horticultural trees and plants, especially Illinois-grown specialty crops to the public! The Plant Something campaign is being promoted via the Garden Illinois website and social media. Follow us on Facebook so you can use the Plant Something content to promote your business. LEARN MORE about free promotional materials we have available to help you carry this message to consumers.